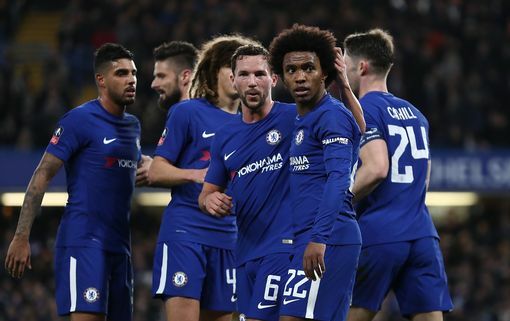 Chelsea have booked their place in this season’s FA Cup quarter-finals, after a convincing 5-0 win over Hull City on Friday night. Willian opened scoring for the Blues as early as the second minute. Pedro Rodriguez curled in a second, before Willian got his name on the score sheet again. Olivier Giroud netted his first for the club, since he completed his move from Arsenal in the January window, to make it 4-0. In the other game of the night, Leicester City dumped out Sheffield United. Jamie Vardy grabbed the only goal of the game in the second half, as the Foxes also qualified for the quarter-finals.